Sudhir is Founder & Chairman of Chiratae Ventures India Advisors. He specialises in identifying disruptive high growth technology firms with a strong leadership team, and helps them grow rapidly with an eye for outsized financial returns. Since 1998 Sudhir and his team have advised on investments into 60 firms across Digital Consumer, Enterprise Software and Healthcare Sectors. Key investments include FlipKart, Myntra, Yatra, Lenskart, Zivame, Manthan (a global Analytics product play), Perfint (a global leader in image guided oncology), Aujas (a global security firm), Newgen (a global software product leader), and Mindtree Consulting. In addition to leading Chiratae Ventures India Advisors, Sudhir serves on the Asia Advisory Board of EMPEA (Emerging Markets Private Equity Association) and as Advisor on the Technology Innovation and Productivity Council of the GMR Group. 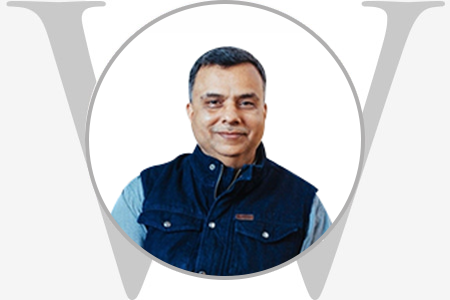 With over 30 years of experience Sudhir has served at various leadership positions at HCL, Wipro and Cyient, as well as Country Head of Walden International India. Sudhir holds a B.Tech in Engineering and an MBA Degree from FMS, Delhi.